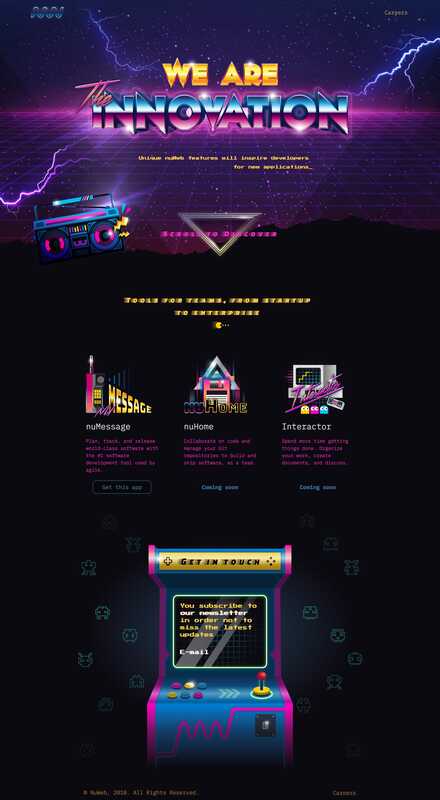 Awesome retro design in this marketing Landing Page by NuWeb trying to attract new developer to apply to work with them. Neat touch with the Space Invaders animation and that is a real unique newsletter sign up block within the arcade (even though the success message seems to be buggy). We created this page just for fun. We are working on the main version of this website and decided, it would be cool to make something not for marketers but for guys who are working as developers and designer, who love old-school games, music, style. If this site helps us to hire the right people, it would be great.